Filming from the trenches - How to make the truly low budget movie. "So you want to make a movie huh?" "What? How do you make one?" 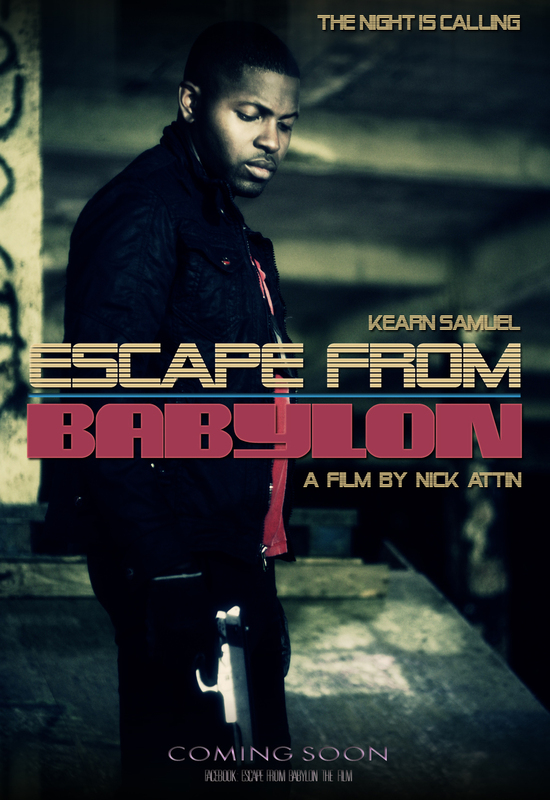 Escape From Babylon Producer/Director, Nick Attin with Fight Coordinator/Actor, Joel Joseph and Lead Actor, Kearn Samuel. I can answer the second one immediately. Get yourself a few hundred million clams and alla-peanut-butter-sandwiches!!! You've got yourself a movie, YAY!!!!!!!! LOL! Robert Rodriguez is one of my greatest influences as a resourceful Filmmaker. This was the video that started it all for me!!! Dov S-S Simens is the greatest Film Instructor in the world. It is because of his Two Day Film School, I was able to make my first feature film, Little BOY Blue!!! Be resourceful!!! Learn to make things for yourself. If you look at the pic at the start of this blog you'll see the same PVC rig that I made following this tutorial!!! Learn from Film Critics. Listen to them, they know what they're talking about even when they're ripping your gizzard out and spiking it on the floor. I've selected this review by Mark Kermode because he really showed me what a Zealout I am when it comes to Quentin Tarantino and I still am!!! This is something I also recommend you watch. Learn how to analyze films and what possible secrets there may exist when attempting to deconstruct the elements of cinema. Rob Ager is my favorite film analyst, check out this analisys of THE MATRIX and prepare to be amazed! Should Independent Filmmakers Be Their Own Film Publicists? COPYRIGHT © 2012 A RUNAWAY COLONY PRODUCTIONS. ALL RIGHTS RESERVED. ← Filming from the trenches - Camera equipment for the true Guerilla Filmmaker plus lots more!